A telephone call from Gary’s Aunt Loretta to the family, Uncle Dino was in the hospital. Gary having questions, but realized that reciprocation wouldn’t be forthcoming from his family as the circumstances were still unknown. 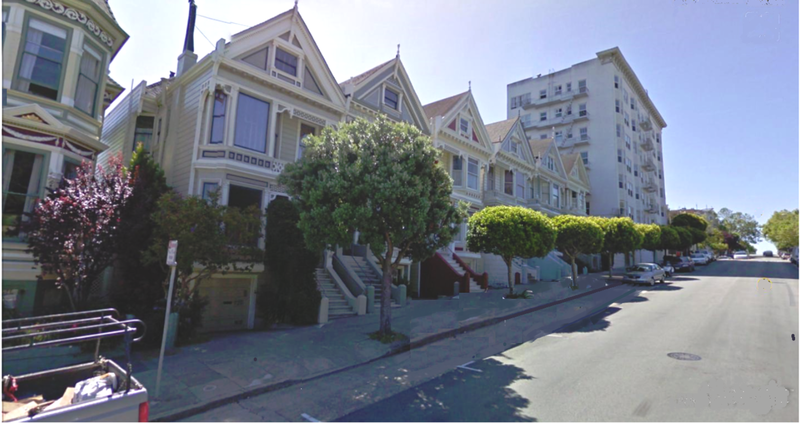 Accompanying his Father and Mother to join his aunt at the San Francisco hospital, his two sister’s opting to remain home, the three arriving, his uncle alert and cantankerous, the teen having never visited an individual in a hospital with the exception of his Uncle Barney in a Sacramento hospital years earlier. Barney in the logging business, sustained an injury when falling a tree, a large branch pinning him for most of the day before being found, the branch pushing all his intestines up into his upper rib cage. At San Francisco, Gary standing somewhat aloof behind his parents in the hospital ward, noticing the various IV’s and tubes connected to Dino, the physicians listing his condition as critical cirrhosis of the liver with major internal hemorrhaging. Gary understood the seriousness, but his world was still that of a youth, not having to dwell on the complications that life enthralled and in addition his Uncle Dino’s burly physical exterior and personality brought to mind a toughness and a movie script conclusion that all would end well. The visit was drawing to a conclusion in the several bed hospital ward, the teen observing as the commotion began. Apparently Dino was upset with something Loretta had said, because he began shouting in Italian , attempting to get out of bed pulling his tubing loose and with the arrival of the staff the family retreated, the weekend visit coming to a conclusion. The following Tuesday October 7, 1958, Gary coming home from school being informed that his Uncle Dino had died. Dino’s 35-year-old son Sylvio from a previous marriage whom Gary had meant only once, stepping-in administering the final arrangements. Gary reflecting on the inference of Dino’s passing having been in attendance for only one other funeral, that being his Uncle Charlie O’Toole on his mother’s side on April 18, 1956 in Santa Ana. 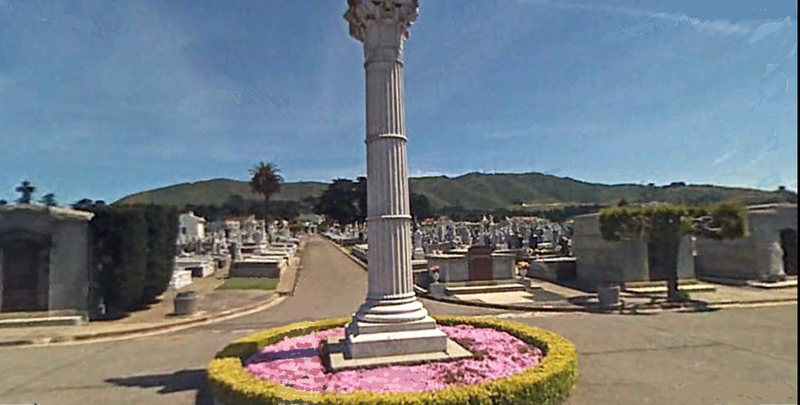 There was no funeral notice for Dino that Gary was aware of but later discovering that Dino Togozzi was interned at the Italian Cemetery in the small town of Colma south of San Francisco in San Mateo County. The small two square mile town noted as the City of Souls because of the large number of cemeteries fulfilling the townships area. On March 26, 1900 the State of California passed a law prohibiting the burial of person on residential and farm property, no more family members buried on the Home Place. 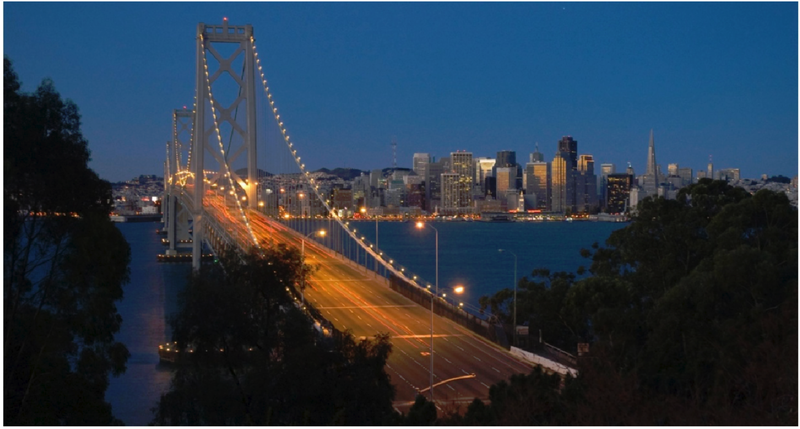 In 1912 the City of San Francisco made known its intent to prohibit all burials in the city. In 1914 the City took the ordinance a step further issuing an order that every interned body would have to be removed and interned outside the San Francisco city limits. The removal and transfer of the hundreds of thousands wasn’t completed until 1937, the small town of Colma accepting San Francisco’s departed. 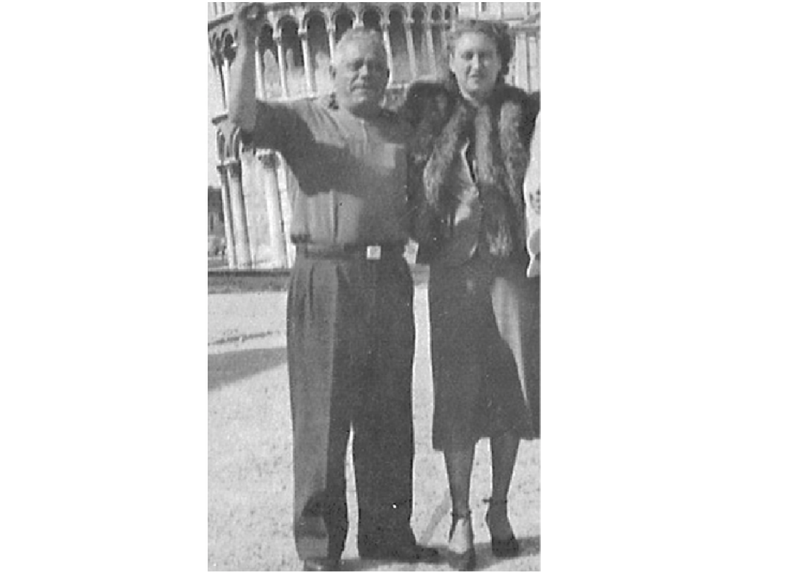 Gary realized that although married to his Aunt, Dino Tognozzi was an Uncle in name only, a self-made man arriving in Detroit from Italy, married Marchella Durchi who later passed, his uncle to be moving to San Francisco marrying his Aunt Loretta. Sylvio his only son born in 1923, enlisting in the war effort in 1942, later married a younger Jacqueline Grey. Gary having meant Jackie, her daughter and her newborn son Dino Mario before her unexpected death in a suspicious car accident in 1955. With Dino’s passing, Aunt Loretta continued her residency on Steiner St., Gary’s Dad providing assistance in maintaining some semblance to a disorganized situation. The closing of the 813 Van Ness Ave. Dino’s # 13 Club was on the agenda, Gary was aware of the chaotic realm that evolved with his uncle’s passing. The youth was somewhat bewildering to see a lack of orderly progression, given the impression adults ascend to a higher facet when addressing grievous and important events such as this, but apparently not in every circumstance. His Aunt Loretta remaining above a grievous condition as expected, the truth being discerned, her relationship with Dino was more of a convenience than a marriage. Parked in the basement garage of his aunts Steiner Street residence was the Tognozzi’s 1949 Cadillac Fleetwood, picture perfect, odometer stating 24,000 miles. The teen surmising the Cadillac’s low mileage because it was said his uncle never traveled much out of the bay area but when he did he always had someone drive him. Gary was aware, like his mother, his aunt was a non-driver and in all probability wouldn’t keep the car. The youth, after some forethought knowing that he had a good relationship with his aunt, in years past, stopping to visit her at the bar on his way to Golden Gate Park and the planetarium, deciding that he would just ask her his outright about borrowing Fleetwood to drive to school. Somewhat hesitant he approached his aunt prepared for a negative response but to his surprise she said she didn’t have a problem with him using the car but with the stipulation of dads approval. Gary relating his aunts decision to his dad who paused before answering, then said okay but with the same two stipulations that prevailed with the use of the family car, the first being, offer to provide a ride to and from school for his sister Kay and then the most difficult one to comply with, drive directly home after school and park it. Gary was excited, his dad driving him to Aunts Loretta’s Steiner Street residence across from the Almo Square Park so he could drive the Cadillac back, surprisingly his sister Kay asked if she could go. Gary could feel the titillation as they opened the garage door. Inside, resting like an animate gargoyle decked in chrome, displaying its distinctive tail fins, the longest Cadillac in production, the four door exuberant mobile Fleetwood. The teen having experienced luxury before when his Aunt Grace purchased a new 55′ Buick Century, but this was a Cadillac, the apotheosis of the automobile industry. Before leaving Gary’s dad giving a word of caution about ferrying the car across the Bay Bridge as Gary had never driven across the bridge before. The two siblings, brother and sister seated in opulence, implementing the Cadillac transport onto the lit-up iridescent glowing Bay Bridge in the early twilight of evening, entertaining not a trip, but the voyage home. Gary could hardly wait, the morrow would augment the inauguration of a new status in school transportation for him. The Teen was solitary in his first morning venture to Castlemont in Fleetwood, seated alone, beginning to sense some reluctance about displaying such a capacious conveyance, choosing to park the car in the same place as the family car, in front of the apartments on Alvingroom Ct., just before you get to Castlemont on MacArthur Blvd. It was common knowledge and after school it was a given, the automotive pretentious students would cruise MacArthur Blvd, their motorized display passing several time in front of the school. Gary delivering the Fleetwood from its parked area taking residence with the cruising after-school traffic on MacArthur voyaging past the high school citadel with an expression of certainty. Making a U-turn at 90th Ave, he circled back towards the school, once more to entice the bastion with his presence. Approaching the school engaging a control he had never used before, automatic windshield washers, the blades of the wipers dispersing the cleansing spraying water. 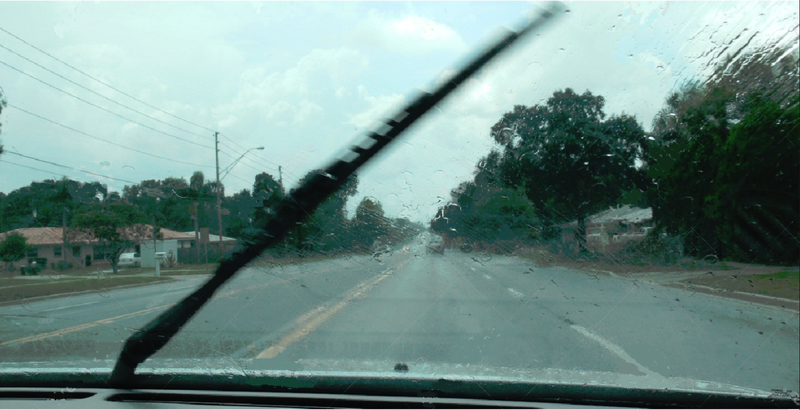 The traffic halted in front of the school, Gary reaching down to turn the washer off, not sure of the controls, a panic, he’s unable to stop the flow, a spray of aqueous water continuing with the wipers still activated. It was apparent, the onlookers having noticed his dilemma, and it was also apparent they thought the moment humorous. The slight teenager in the large Fleetwood continued in his attempt to challenge the apparatus, but to no avail. After exhausting the supply of washer fluid, the disconcerted embarrassment came to a halt. Eyes focused straight ahead, the reticent youth retired to the journey home. Gary wasn’t trouble with the news, the explanation was plausible. His Aunt having called propagating the advice from her attorney, the Cadillac Fleetwood was deemed property of the estate and would have to remain in storage until settlement. The use of the Fleetwood was apropos to its name as it was fleeting, Gary drawing a conclusion from his experience, opulence is earned, not bestowed. It was totally unexpected, Gary’s dad trading in the 48 Chevrolet Stylemaster, a 1956 Plymouth Belvedere V8 taking up residence at the Willson household. Gary was somewhat elated, but the rules about cruising after school were still in effect, but on occasion he would surreptitiously make an exception. On one occasion inviting his younger neighbor Milton (Babe) Pepitone, who was his sister Kay’s age to accompany him on a short jaunt after school. The two heading northeast on Mountain Blvd to the recently completed Warren Freeway section to the Caldecott tunnel turnoff, returning back, Gary noticing the traffic was flowing at 70 mph, turning to Babe asking if he had every been over 100 mph in a car. Babe answered in the negative, Gary having never driven that fast put the pedal to the metal, watching the speedometer surpass the 100 mph mark, immediately backing down to the speed limit. Once home he cautioned Babe not to say anything to anybody about what they just did. It was several weeks later, Gary’s Dad when mentioning his using the car to go to Dale’s house in Castro Valley without asking, slipped in that he also didn’t want to hear about any 100 mph speeding tickets. The Teenager was amazed how Parents intuitively perceived information about unspoken events. This entry was posted on February 22, 2017 at 7:04 am and is filed under Uncategorized. You can follow any responses to this entry through the RSS 2.0 feed. You can leave a response, or trackback from your own site. You need to really think about working on growing this site into a major authority in this niche. You obviously have a good handle of the topics everyone is looking for on this site anyways and you could definitely even make a buck or three off of some offers. I would explore following recent trends and increasing the amount of blog posts you put up and I bet you’d start seeing some awesome traffic soon. Just a thought, good luck regardless!